Walnuts are one of the oldest nuts in the nut family, with over 15 different nut trees native to Asia, Europe and the Americas. The trees grow somewhere between South eastern Europe through to the Middle east, India and China. The oldest walnut remains were found in the Shanidar Caves in Iraq, dating back to 50,000 BC. Stone age tribes in the Swiss lakes, around 7,000 BC must have first began to domesticate the walnuts. The Greek and Romans also found them far superior to the acorn, beech nuts and chestnuts everyday people ate. Spanish padres brought the walnuts for plantation to the California coastal missions during the 18th century. 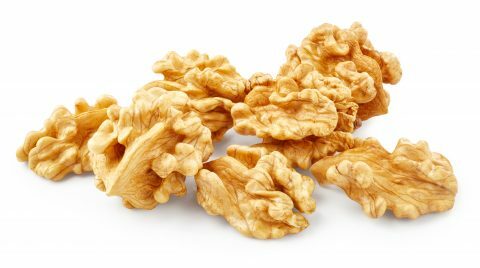 Walnuts are rich in omega 3 fatty acids, one of the few plants in which these fats that combat heart disease occur. Walnuts are also rich in most minerals, B1, E and zinc.